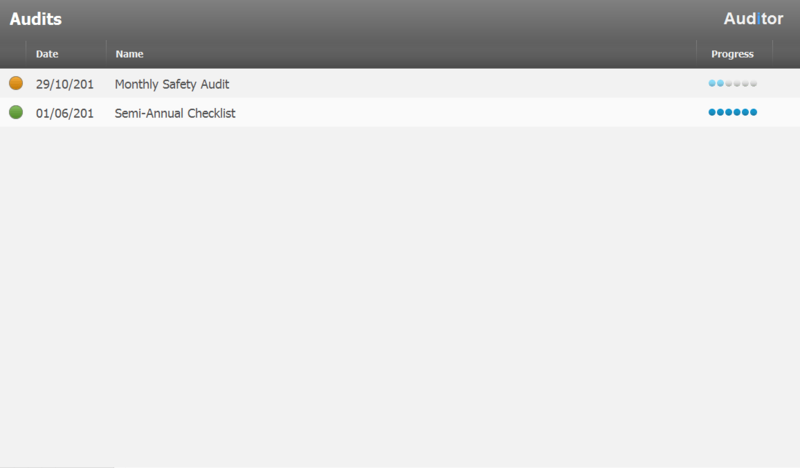 Auditor App - Audit/Checklist Tool | CoreSolutions Inc. Auditor for iPad is a simple and intuitive audit/checklist tool for businesses. 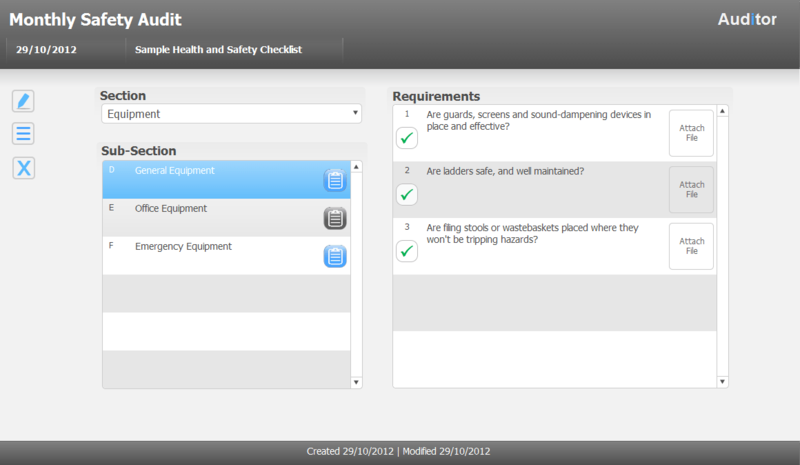 Easily organize health and safety checks, home inspections and compliance records on your iPad. 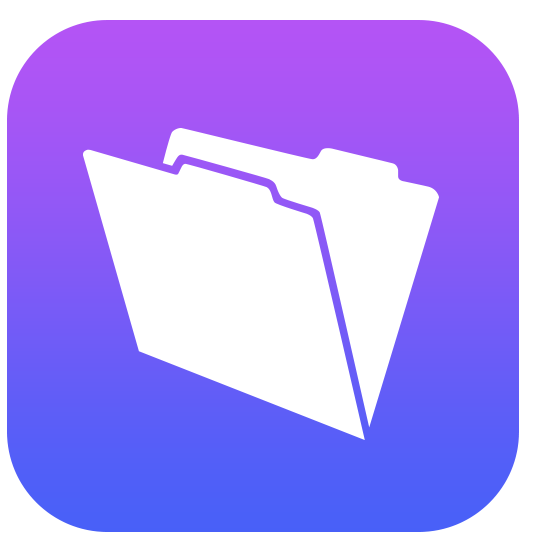 Are You a New FileMaker User? If you would like to try out Auditor, you will need to have access to the FileMaker Platform. FileMaker offers a trial to their platform that can gain you access to FileMaker Pro, FileMaker Server, FileMaker Go, how-to videos, training materials and their app plan guide. The Platform allows you to begin creating your own custom apps as well as try out other great apps like Auditor for iPad. Here is the form for a FileMaker Trial. Complete checklists for health and safety purposes. 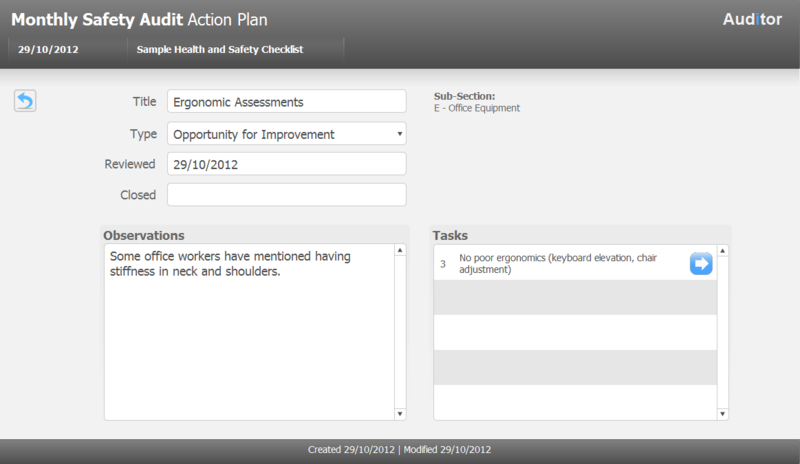 Keep up to date on inspections with Auditor. View history of compliance records on the app. Note that to use Auditor you need to download FileMaker Go free from the App Store. Hello and thanks for joining me. Chris here from CoreSolutions Software, developers of the Auditor case management system created using FileMaker Pro. In this video we will evaluate Auditor in real time using an iPad and FileMaker Go. Auditor is a simple and intuitive audit checklist tool for your business that provides the flexibility for audits on the go with the security and convenience of a centralized storage location. This means no more missing attachments or paper clutter. 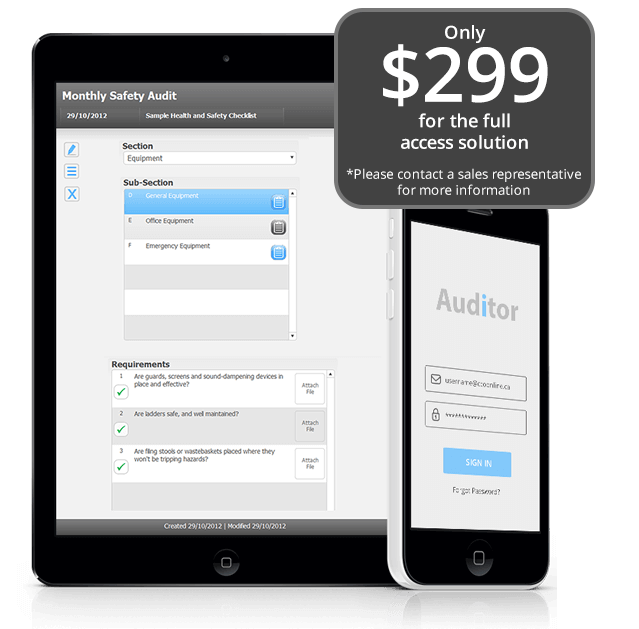 You can use Auditor for health and safety checklists, home inspections, compliance reports, or any other tracking solution. The dashboard identifies the progress of each audit. In addition how well the audit is scored. Each audit is divided into sections and further broken down into subsections that each contain a collection of requirements. Requirements can be marked with either a checkmark or an “X” by simply tapping on the screen. With FileMaker Go, it’s easy to add attachments to each requirement including signatures, photos or video, acrobat or office documents, and audio files. The audit set can be easily be edited to suit any business need simply by editing the existing set or by creating a new one. 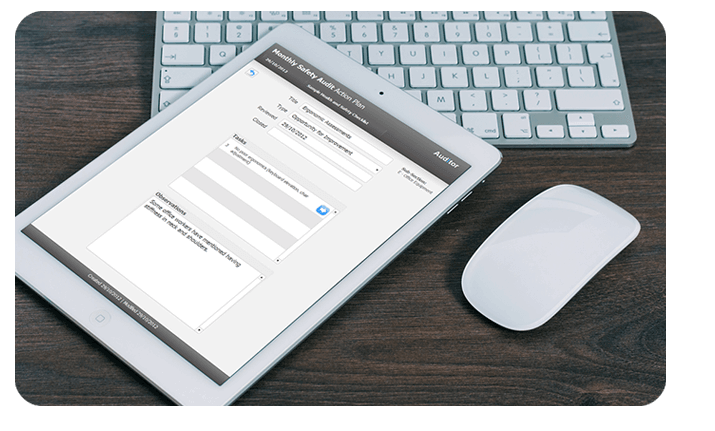 Download a 30 day trial of Auditor for your iPad and see how easy your tasks can be. To learn more about Auditor, please visit www.coresolutions.ca/auditor.